What an exciting day it was today. 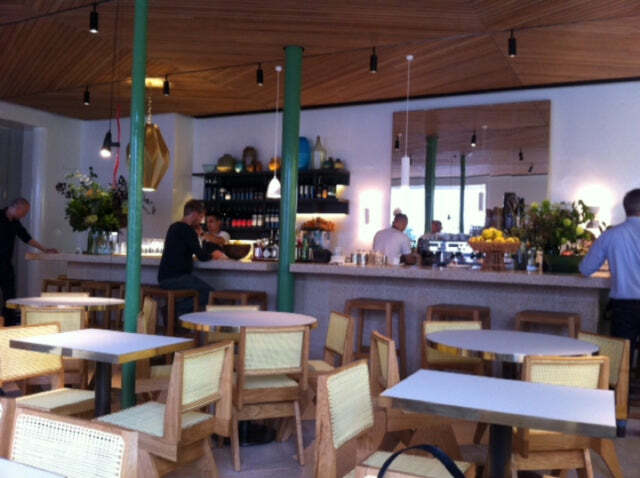 It might have been dull and drizzly outside but the Sydney sun was shining on Westbourne Grove when my friend, Australian restauranteur, Bill Granger opened his first London venture. The anticipation was too much and me and my friends "hit the beach" straight after the school run for the yummiest breakfast (avocado on toast) and best flat white coffees in town. The wonderfully light and happy interior (I loved that the tan banquettes were inspired by a Hermes Kelly bag) mixed with Bill’s fabulous healthy fresh food makes it a fun and casual hangout for every meal of the day. So much so that I couldn't resist going back for afternoon tea and a casual dinner later with my mum still wearing the jeans I'd had on all day!